Church visits are becoming less about HIV/AIDS testing and more about social righteousness in Nigeria. Our volunteer teams are finding church members really wanting to change things in their lives that they did not see as sin before. Now they recognise these things are not what God wants and they are willing to change to honour him. “So many people we talk to look at their lives after they hear our message. They become willing to walk in righteousness and live differently, for which we give God glory,” said international coordinator Tassie Ghata. June to September is rainy season in Nigeria, with teams less active because roads are saturated, and sometimes flooded or boggy, making travel difficult. 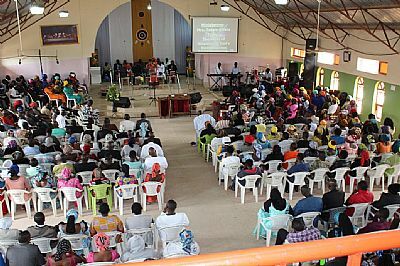 As well, many people take long holidays and return to their villages, meaning churches have few members in their congregations and leaders are on holiday also. In spite of this, the Jos, Yola and Lafia volunteer teams were able to visit 15 churches during August and September, sharing the gospel with 4,829 people. 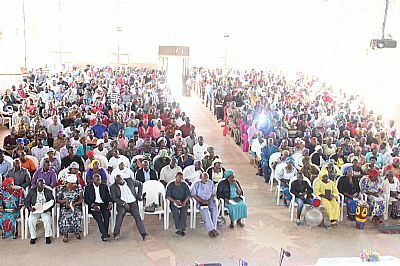 Of these, 940 chose to be tested for HIV/AIDS and 750 joined life sharing groups where they will support each other to live lives of social righteousness. Eight people tested positive for HIV and will receive ongoing support. One hundred and seventy gave their lives to Christ for the first time and another 760 rededicated their lives.